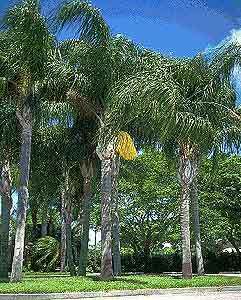 Description: Also known as Queen Palm. Grows best in full sun and likes a rich soil with plenty of fertilizer and water. It will tolerate salt areas and gives that real tropical effect to gardens and pool areas. Can be transplanted easily. Most common palm in Perth area.